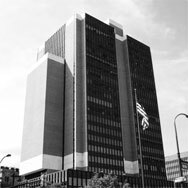 The Federal Criminal Law Committee for the Eastern District of Pennsylvania is dedicated to addressing issues concerning criminal defense in the federal courts, particularly in the Eastern District of Pennsylvania and surrounding Districts. Save the date! The Clifford Scott Green Bill of Rights award to be given to the ReEntry Team—Thursday, October 11, 2018. U.S. Attorney William McSwain will provide an update and report on the U.S. Attorney's Office for the Eastern District of Pennsylvania and matters impacting the prosecution and defense of criminal cases.